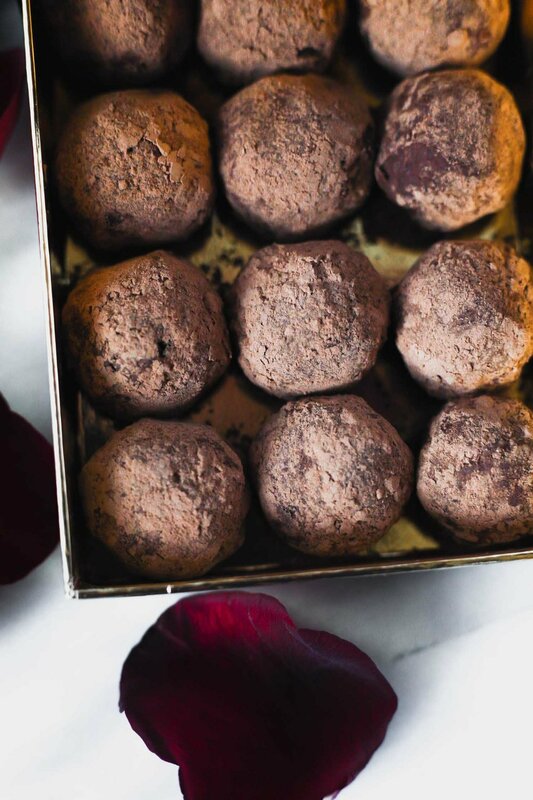 Vegan Chocolate Truffles by beautiful Ingredient. 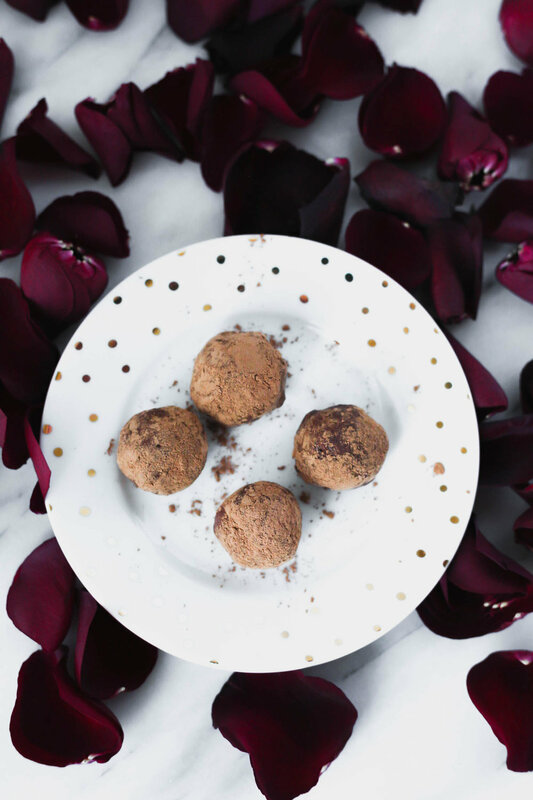 Vegan Low-Glycemic Chocolate Macadamia truffles for Valentine"s Day. I love using fruits to sweeten my sweets, leaning hard on dates in particular. I recently discovered a new-to-me fruit, monkfruit, and at first I was skeptical - mostly because it was touted as "zero-calorie". Is this just another sugar substitute with a bad aftertaste or is it the real deal? Well, I've found the answer to be...no. In fact, I like it. The brand I found also contains erythritol, yet still my sensitive tongue doesn't pick up an artificial taste. I guess because these zero-calorie sweeteners aren't really artificial ingredients; it turns out monkfruit is an actual southeast Asian fruit and erythritol is a sugar alcohol extracted from plants (therefore, it's not a whole food, which I prefer sticking to, but doesn't seem to have the big downsides of artificial sweeteners). Dr. Axe, a proponent of the idea that food is medicine, praises monkfruit for its antioxidants, along with its anti-inflammatory, anti-carcinogenic nature. You can see what he says about erythritol here. To be honest, the "zero-calorie" options are still unfamiliar territory for me, so I will remain a bit skeptical, but I do have to admit that the flavor is better than any zero-calorie sugar-subs I've tried in the past (sorry, stevia). 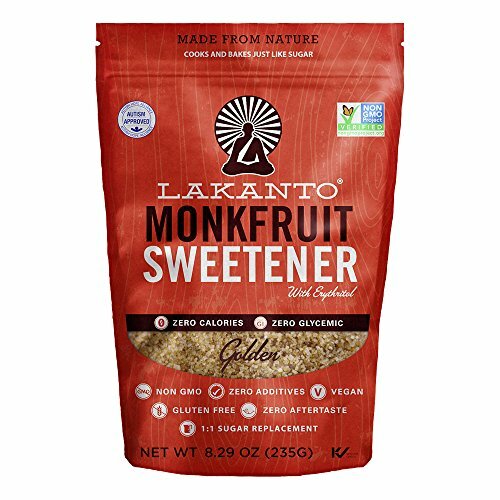 So I decided to try a recipe out with this monkfruit sweetener for those who are looking for a zero calorie, zero glycemic sweet option. Valentine's Day is currently around the corner, so truffles were the obvious choice. 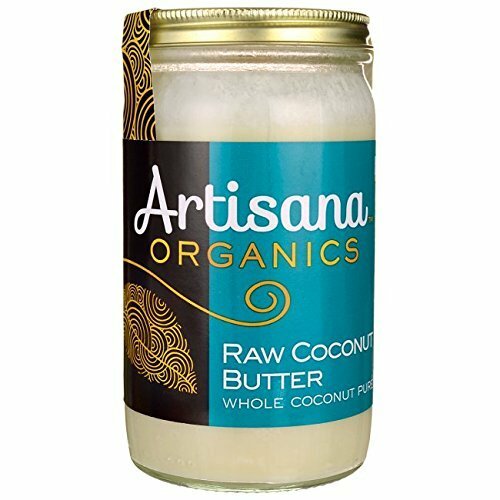 If you prefer to stick with date sugar or coconut sugar, I believe those will work here, too. Just swap out the monkfruit sweetener, then give it a taste. With the date sugar, you may need to add a bit more. These Sugar-Free Chocolate Macadamia Truffles are rich, decadent, deep in flavor, and yes - sweet. 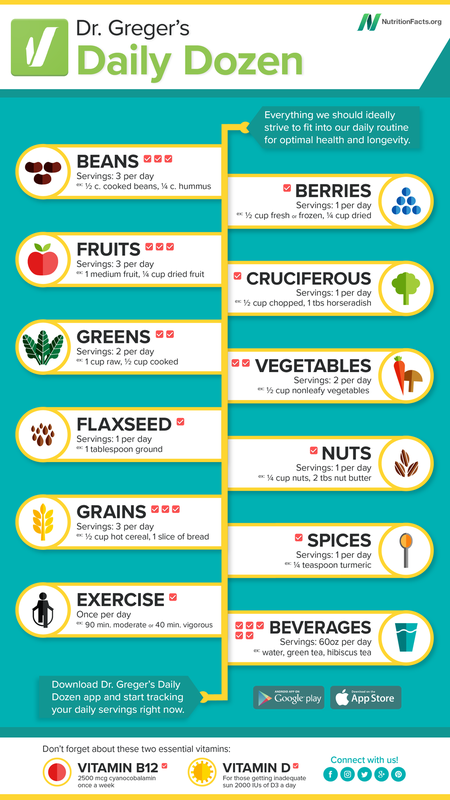 Primarily raw (save toasting the nuts, which is optional), they are nutrient-packed. 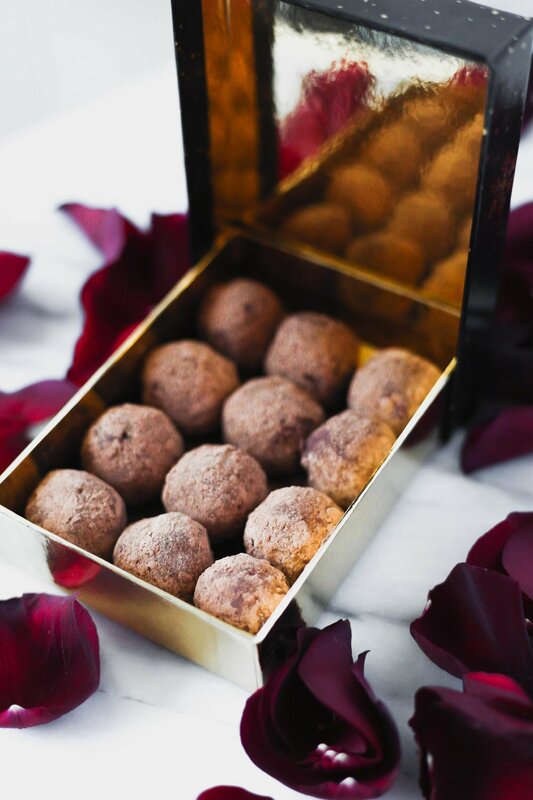 Because the monkfruit granules aren't cooked, I do find I can feel the granules with my tongue - if you kind of like the feel of sugary granules like those on cinnamon toast, and want the benefits of raw, than these truffles are for you. Author's note: If you'd prefer to stick with date sugar or coconut sugar, I believe those will work here, too. Just swap out the monkfruit sweetener, then give it a taste. With the date sugar, you may need to add a bit more. 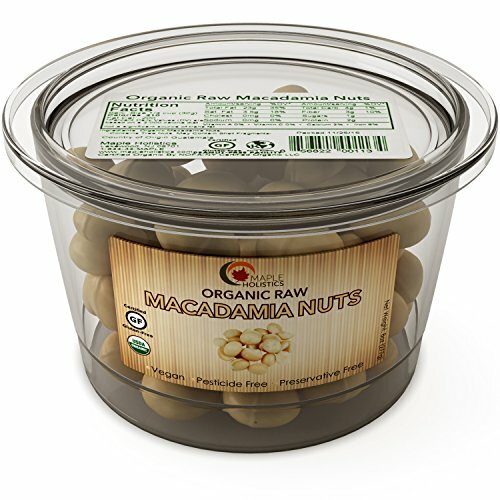 (Optional) Place the macadamia nuts on a baking sheet and toast in the oven at 350 degrees for 5-7 minutes (check at 5 minutes), until the nuts are becoming fragrant and turning golden. Toasting like this brings out the macadamia flavor, but if you prefer raw, skip this step. 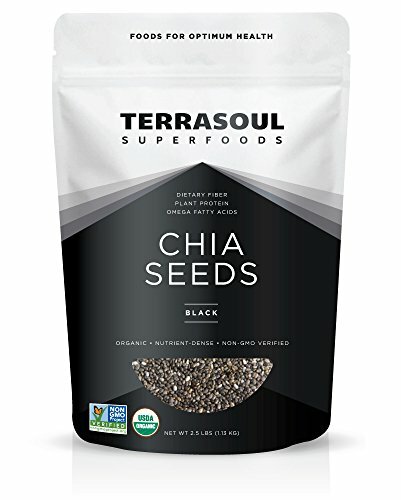 Combine the chia seeds and milk in a small bowl. When the nuts are done toasting, set them aside to cool for 5 minutes. Place all the ingredients in a food processor and process until evenly combined. Seal the ganache in the processor or other container and chill in the refrigerator for an hour. 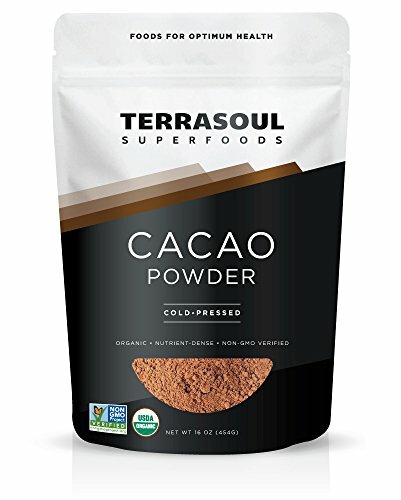 Sprinkle 2 tablespoons cacao powder on a small plate. With a wet tablespoon and hands, scoop 1/2 a heaping tablespoon at a time and roll into a ball. Roll the ball in the cacao powder until coated. Place on a plate or waxed paper. Repeat until you have all the truffles finished. If the ganache gets too soft, place back in the fridge for 15 minutes or so and try again. You can serve immediately, although these are more "truffle-like" if you can let them sit overnight in the fridge. If. Enjoy! Clicking the "Buy on Amazon" links will take you to Amazon, where you can decide to purchase. Amazon will share a small portion of the sale with us as a "finder's fee" at no extra cost to you. Thanks for your support! What do you think of this recipe? What do you think of "natural" zero-calerie sweeteners? I'd love to know! You can comment below. After clicking "Post Comment" follow the prompts to Post as Guest.